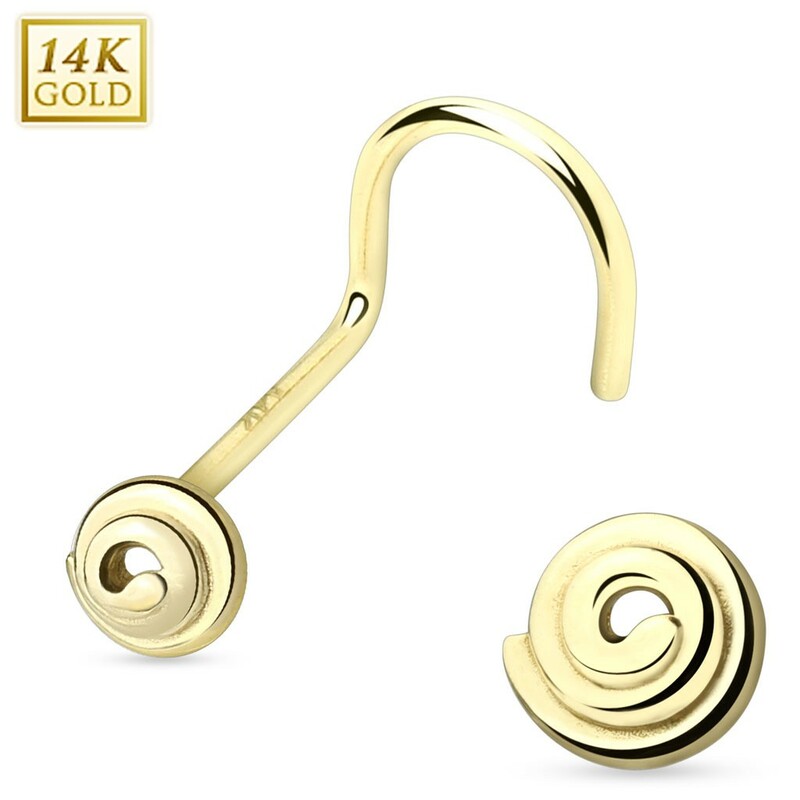 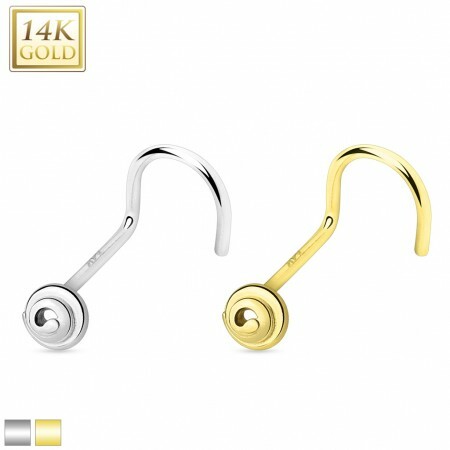 This solid gold nose piercing carries a gold spiral. 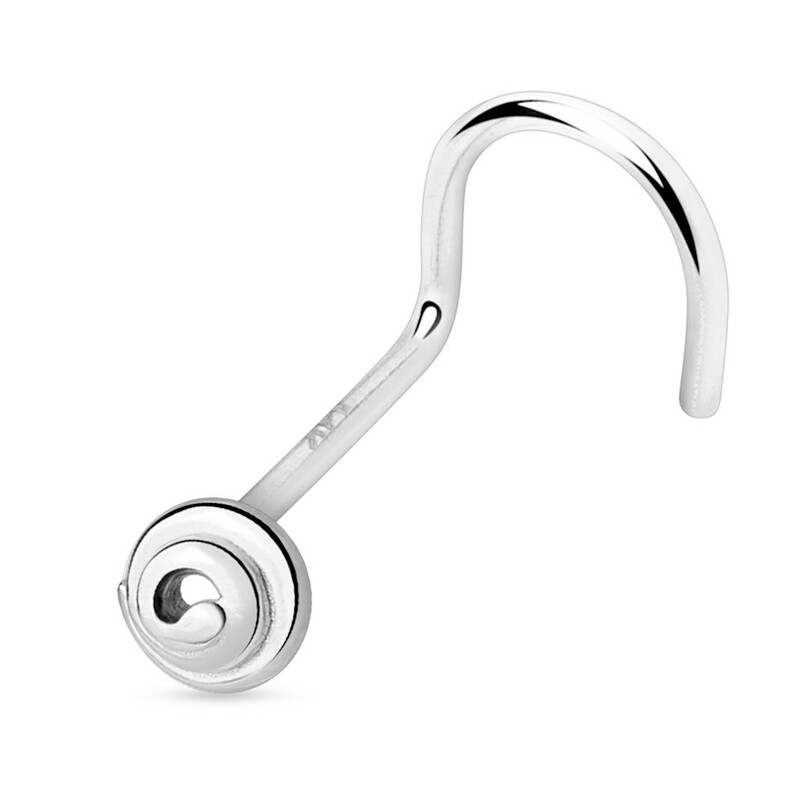 This swirly top offers a nice alternative for the regular tops. Since this nose piercing is screw shaped it is a bit harder to put in but will stay firmly in place.